In my experience, most clinical trials do not suffer from significant retention issues. This is a testament to the collaborative good will of most patients who consent to participate, and to the patient-first attitude of most research coordinators. However, in many trials – especially those that last more than a year – the question of whether there is a retention issue will come up at some point while the trial’s still going. This is often associated with a jump in early terminations, which can occur as the first cohort of enrollees has been in the trial for a while. It’s a good question to ask midstream: are we on course to have as many patients fully complete the trial as we’d originally anticipated? However, the way we go about answering the question is often flawed and confusing. Here’s an example: a sponsor came to us with what they thought was a higher rate of early terminations than expected. The main problem? They weren't actually sure. Here’s their data. Can you tell? Original retention graph. Click to enlarge. If you can, please let me know how! While this chart is remarkably ... full of numbers, it provides no actual insight into when patients are dropping out, and no way that I can tell to project eventual total retention. In addition, measuring the “retention rate” as a simple ratio of active to terminated patients will not provide an accurate benchmark until the trial is almost over. Here's why: patients tend to drop out later in a trial, so as long as you’re enrolling new patients, your retention rate will be artificially high. When enrollment ends, your retention rate will appear to drop rapidly – but this is only because of the artificial lift you had earlier. 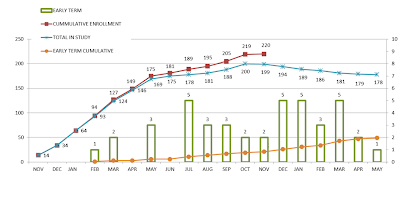 In fact, that was exactly the problem the sponsor had: when enrollment ended, the retention rate started dropping. It’s good to be concerned, but it’s also important to know how to answer the question. 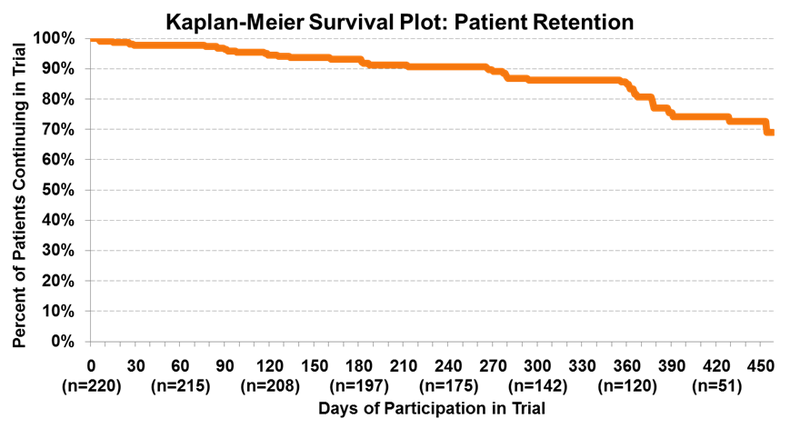 Fortunately, there is a very simple way to get a clear answer in most cases – one that’s probably already in use by your biostats team around the corner: the Kaplan-Meier “survival” curve. 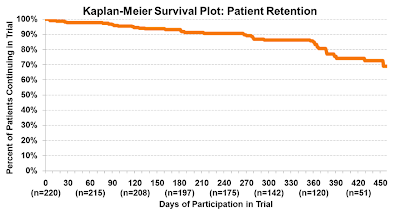 Here is the same study data, but patient retention is simply depicted as a K-M graph. The key difference is that instead of calendar dates, we used the relative measure of time in the trial for each patient. That way we can easily spot where the trends are. In this case, we were able to establish quickly that patient drop-outs were increasing at a relatively small constant rate, with a higher percentage of drops coinciding with the one-year study visit. Most importantly, we were able to very accurately predict the eventual number of patients who would complete the trial. And it only took one graph! It is a surprisingly common peril among analysts: we don’t have the data to answer the question we’re interested in, so we answer a related question where we do have data. Unfortunately, the new answer turns out to shed no light on the original interesting question. This is the situation that the Tufts Center for the Study of Drug Development seems to have gotten itself into in its latest "Impact Report". It’s worth walking through the process of how an interesting question ends up in an uninteresting answer. My company owns a drug that may be approvable through FDA’s 505(b)(2) pathway. What is the estimated time and cost difference between pursuing 505(b)(2) approval and conventional approval? That’s "interesting", I suppose I should add, for a certain subset of folks working in drug development and commercialization. It’s only interesting to that peculiar niche, but for those people I suspect it’s extremely interesting - because it is a real situation that a drug company may find itself in, and there are concrete consequences to the decision. What are the overall development time and cost differences between drugs seeking approval via 505(b)(2) and conventional pathways? Extreme qualitative differences of 505(b)(2) drugs. 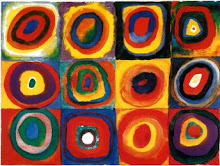 are substantially different in any way (riskier, more novel, etc. ), then they will change the comparison in highly non-useful ways. In fact, in 2014, only 1 drug classified as a New Molecular Entity (NME) went through 505(b)(2) approval, versus 32 that went through conventional approval. And in fact, there are many qualities that set 505(b)(2) drugs apart. So we’re likely to get a lot of confounding factors in our comparison, and it’s unclear how the answer would (or should) guide us if we were truly trying to decide which route to take for a particular new drug. It might help us if we were trying to evaluate a large-scale shift to prioritizing 505(b)(2) eligible drugs, however. What is the difference in time that it takes the FDA for its internal review process between 505(b)(2) and conventionally-approved drugs? This question has the supreme virtue of being answerable. In fact, I believe that all of the data you’d need is contained within the approval letter that FDA posts publishes for each new approved drug. But at the same time, it isn’t a particularly interesting question anymore. The promise of the 505(b)(2) pathway is that it should reduce total development time and cost, but on both those dimensions, the report appears to fall flat. Cost: This analysis says nothing about reduced costs – those savings would mostly come in the form of fewer clinical trials, and this focuses entirely on the FDA review process. 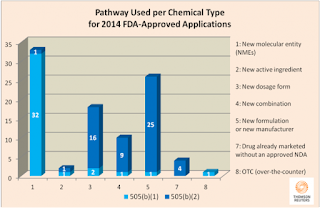 Time: FDA review and approval is only a fraction of a drug’s journey from patent to market. In fact, it often takes up less than 10% of the time from initial IND to approval. So any differences in approval times will likely easily be overshadowed by differences in time spent in development. The 505(b)(2) approval pathway for new drug applications in the United States, aimed at avoiding unnecessary duplication of studies performed on a previously approved drug, has not led to shorter approval times. This is more than a bit misleading. The 505(b)(2) statute does not in any way address approval timelines – that’s not it’s intent. So showing that it hasn’t led to shorter approval times is less of an insight than it is a natural consequence of the law as written. Most importantly, showing that 505(b)(2) drugs had a longer average approval time than conventionally-approved drugs in no way should be interpreted as adding any evidence to the idea that those drugs were slowed down by the 505(b)(2) process itself. Because 505(b)(2) drugs are qualitatively different from other new molecules, this study can’t claim that they would have been developed faster had their owners initially chosen to go the route of conventional approval. In fact, such a decision might have resulted in both increased time in trials and increased approval time. This study simply is not designed to provide an answer to the truly interesting underlying question.